Community Corner - Brighton Golf Club Trivia Night. 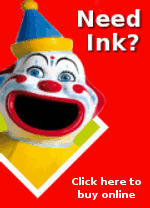 IT BEFORE ? IN EYE-POPPING 3D! 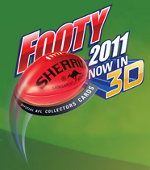 The first-ever Official 3D AFL Collector Card series can be collected with the Herald Sun from May 4th to 22nd. Your favourite players in mind-blowing 3D! Player stats, mascots and Mark Knight's All Star cards. Platinum Cards with awesome prizes like 2011 Toyota AFL Grand Final tickets and the chance to attend a VIP training and photo session. From the publishers of The Age we have arranged a special 20 week subscription offer for home delivery of The Age for just $5.00 a week. 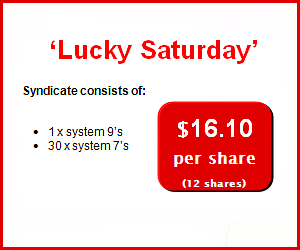 Weekly house syndicates are a popular way to play your favourite Tatts games. 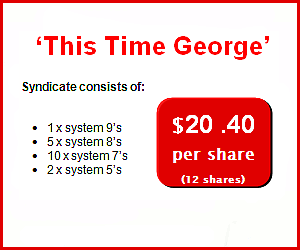 Each week we have syndicates available for you to join in TattsLotto, Powerball and Super 7?s Oz Lotto. 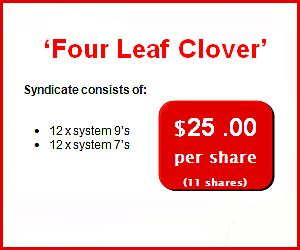 Joining a syndicate allows you to get the advantage of playing large system entries that offer multiple division prizes. Keep up with the latest with Patterson Road on Facebook, simply click the Facebook "like" button at www.pattersonroad.com.au. ? Brighton Golf Club?s Trivia Night is coming up, the popular event will be held at the club on Saturday 28th May. 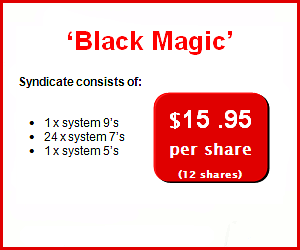 For more information visit www.brightongolfclub.com.au and view the club?s April newsletter.